Errol: That’s me. Super lucky guy. Why, I had girls not talk to me for years! OMG, you’re in the White Room in the Wolfram & Hart offices! 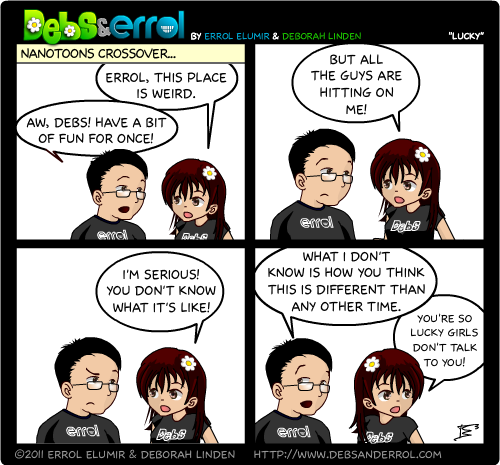 Errol, thats what happens when you hang with a superhero! Truth can not be hidden.